This ticket allows entrance to Decibel Open Air 2019 on the 22nd & 23rd June. 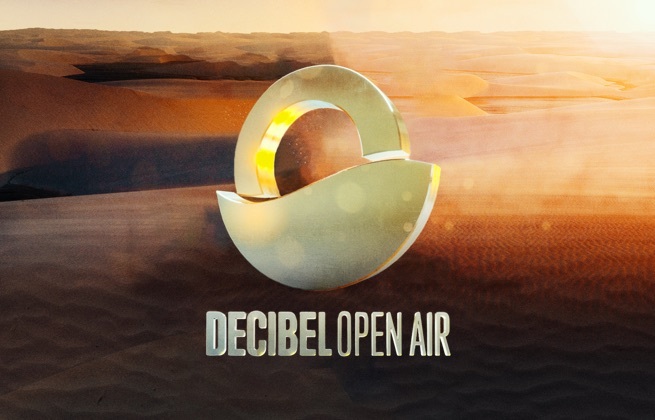 This ticket allows entrance to Decibel Open Air 2019, Saturday 22nd of June. This ticket allows entrance to Decibel Open Air 2019, Sunday 23rd of June. This ticket allows entrance to Decibel Open Air 2019 as a VIP on Saturday 22nd & Sunday 23rd of June. This ticket allows entrance to Decibel Open Air 2019 as a VIP the Saturday 22nd of June. This ticket allows entrance to Decibel Open Air 2019 as a VIP the Sunday 23rd of June. Hotel Casa del Lago is set in a 19th-century building in the center of Florence, in an area completely free from traffic noise, 20 meters from the Teatro Comunale, the Opera House of the Maggio Musicale Fiorentino and a 10-minute walk from the main museums and the Ponte Vecchio. The magnificent view that opens on the bridges of Florence to the famous Ponte Vecchio and the suggestive view of the hills that insist on the Oltrarno districts enhance the natural tranquility of this hotel. The rooms at Hotel Casa del Lago are equipped with individually regulated air conditioning, direct dial telephone, TV and private facilities. 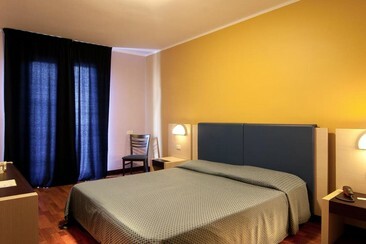 All rooms are also soundproofed and many have a great view of Ponte Vecchio and other bridges along the river. The bathroom includes free toiletries and hairdryer. The Leonardo Da Vinci Hotel in Florence is just 5 minutes from the Santa Maria Novella train station. It is also within walking distance of the center of Florence and its major attractions such as the Basilica of Santa Maria del Fiore and the Ponte Vecchio. The Hotel has a private parking and an internal video surveillance system. The Hotel has 71 rooms furnished with great attention to detail, all equipped with Wi-Fi. Each room is equipped with a LED TV with satellite channels, a spacious bathroom with bath or shower, and elegant parquet or tiled floors. Enjoy breakfast from the light and airy dining room overlooking the courtyard fountain or savor fine wine on the balcony. The Hotel Londra is located right in the center of Florence, just 2 min walking from Santa Maria Novel train station, a few steps from Palazzo dei Congressi & Fortezza da Basso conference center - and it’s close to the major city attractions: the Duomo, Piazza Della Signoria... We are not in the restricted traffic area so you can easily join us with your car, and leave it in our car park. The property has 166 rooms and an important congress center with 13 meeting rooms. Each soundproofed room provides a satellite TV, air-conditioned, minibar and desk. Some also have a seating area with tea/coffee facilities. In addition, there is a free sauna and gym. Starhotels Tuscany offers free Wi-Fi throughout and is situated 3 km from Firenze Peretola Airport. Public buses connecting to the centre of Florence stop 300 m away and pass every 15 minutes. The hotel's 102 elegant rooms and suites have all been recently refurbished in a contemporary, refined style. In-room facilities include cable television, in-house movies, air conditioning, a trouser press, and a mini bar. The Assaggi by Eataly restaurant offers the finest examples of traditional local cuisine. The welcoming Assaggi by Eataly bar is the ideal venue for a coffee, a light lunch or a cocktail. There are 2 meeting rooms, equipped with hi-tech facilities, can cater for up to 60 people and provide ample space to host business and private events in Florence. The Hotel Orto de’ Medici is located in a quiet yet central neighborhood close to the Santa Maria Novella train station, on the Via San Gallo, which is a typical Florentine street, and one of its oldest. Wherever you want to go, the hotel is just a stone’s throw from the major sights. Florence’s cathedral (the Duomo), the Accademia which holds Michelangelo’s David, the Uffizi with its incomparable art collection, the iconic Ponte Vecchio bridge, and Florence’s high-fashion street Via de’ Tornabuoni, are all just a few minutes on foot from the property. All the rooms are painted in relaxing tones ranging from silver to dove-color, and furnished in an urban chic style with the combination of glass, wood and metal. They feature soundproofing, air conditioning, free WiFi, flat-screen TVs with satellite channels, telephone, minibars, private bathroom with shower and toiletries set. Some of them also have garden views, and upgrade rooms add terraces with cathedral and city views. The terrace and garden, the heart of the Hotel Orto de’ Medici, is a great place to relax outdoors after a day of visiting Florence, enjoy a cappuccino and croissant for breakfast, sip a fruity tea in the afternoon, or order a spritz before dinner. Perhaps you don’t realize, but this small, lush garden is a very special place: it was here that Lorenzo the Magnificent first met the young Michelangelo. 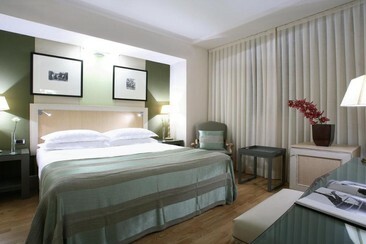 Hotel Ambasciatori stays in the heart of Florence, right in front of the Santa Maria Novella railway station. Cathedral of Saint Mary of the Flower and Florence Baptistery are within 15 minutes. Rooms are modern and well-equipped with toiletries and air conditioning, some have balconies, and some offer flat-screen TVs, stylish furniture, and sleek bathrooms. A buffet breakfast is served in the San Pietro breakfast room. Sweet Bar is ideal for a cocktail, drink or snack.